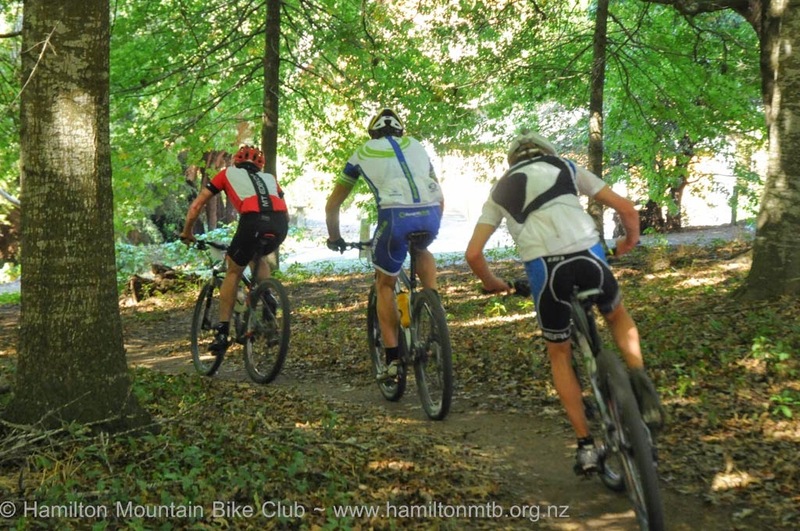 Originally a working farm and commercial sand quarry, the park has been developed over the last 15+ years into a Purpose-Built One-Way Single Track Mountain Bike Trail Built and maintained by the members of Hamilton Mountain Bike Club. The entire area is a public park and has been developed with the support of Hamilton City Council. 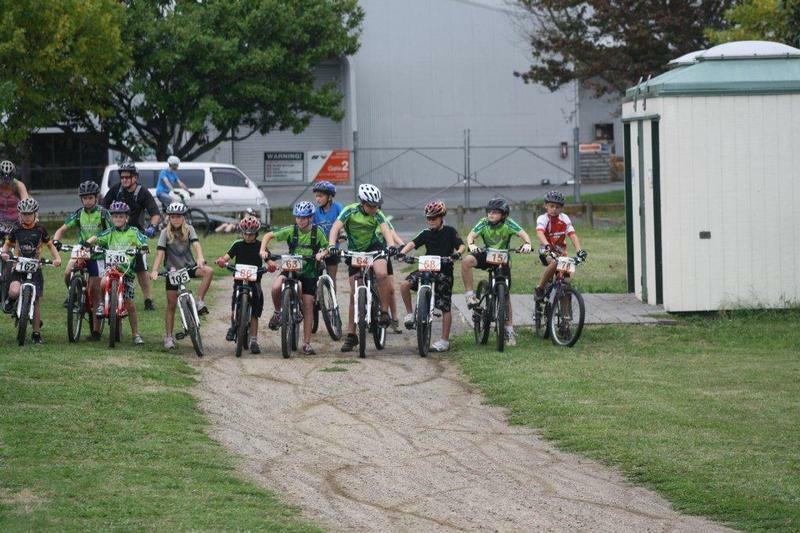 You can access the track from 66 Maui St, Te Rapa, or 280 Pukete Rd opposite the Te Awa River Trail carpark. We would prefer that riders use the Maui St entrance for parking and traffic reasons. All public are free to enjoy this area, but please be aware that we do share the area with any and all public who choose to pass through. The Club uses the entire track for regular racing events throughout the year, and we also have other social, community and school groups making use the track. If you wish to use the park for any kind of organised event, please use the Park Booking Form to ensure there are no conflicts with other users. 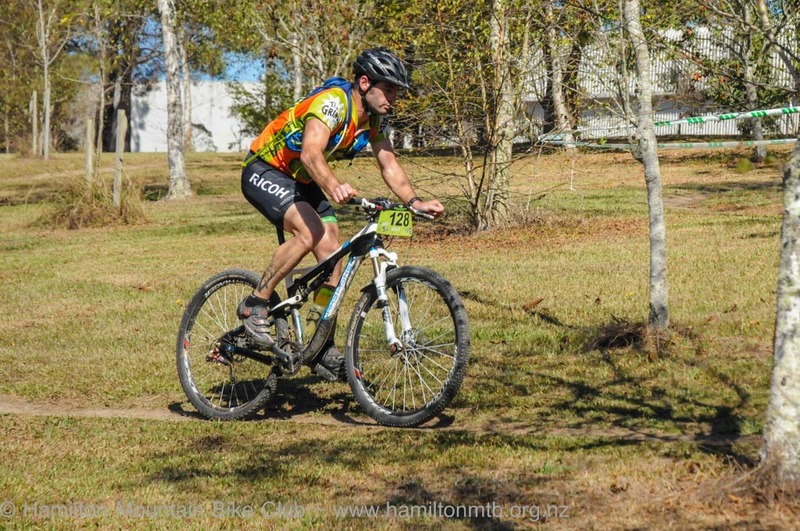 Pukete Mountain Bike Track is known as "Single Track" and is nearly 11km from start to finish. The track offers a variety of surfaces with gravel, sand, clay, grass and mud. It is ride-able all year round but may get a bit messy in the winter months. Our track has several natural hazards, with some small hills and gullies that pose a fall risk, and there are areas of swamp and stream water close to the track. We have also built several jumps and obstacles that require a bit of confidence. If you are a beginner, or have not ridden this type of trail before, take your time and assess what is ahead of you. Please keep younger riders supervised at all times! Injury is always a risk when riding Mountain Bike trails, so do your best to reduce the possibility of harm, helmet and closed shoes. One of the most important notes is that the track is strictly ONE WAY. For your safety we have placed numerous markers and arrows around the circuit indicating the correct direction. Some areas have old tracks crossing the path which can cause a little confusion. Please take your time and try to follow the most used path. We are working on better quality, permanent signage and markers. The track is used by a wide variety of riders from First Timers to Olympians. We ask that all riders be aware of others and be patient. If you encounter slower riders, please call out politely that youâ€™d like to get past. This however, does not give you the right to push past. Please remember We were all slow, nervous first-timers once. Give slower riders a bit courtesy, and encouragement! It's all about having FUN! During weekends, family groups often use this area for picknicks and parties while the kids go out and ride. You'll head along the gravel entrance road and then left into the single track through a fairly well-established section of trail. This is some of the parks longest established trail. The selection of tighter radius corners here will provide a nice bike handling test along with short sprints between corners. At the northern end we have a recently added section Blood Sweat and Gears this is quite a challenging section that should only be ridden by more confident riders as it involves a steep, blind downhill 180 degree corner. Once you are on it there is no easy out. Cookies Cutting offers an easy/hard split. The hard way involves a steep drop-in and a handful of stair sections followed by a quick climb back out up over a couple of ledges. 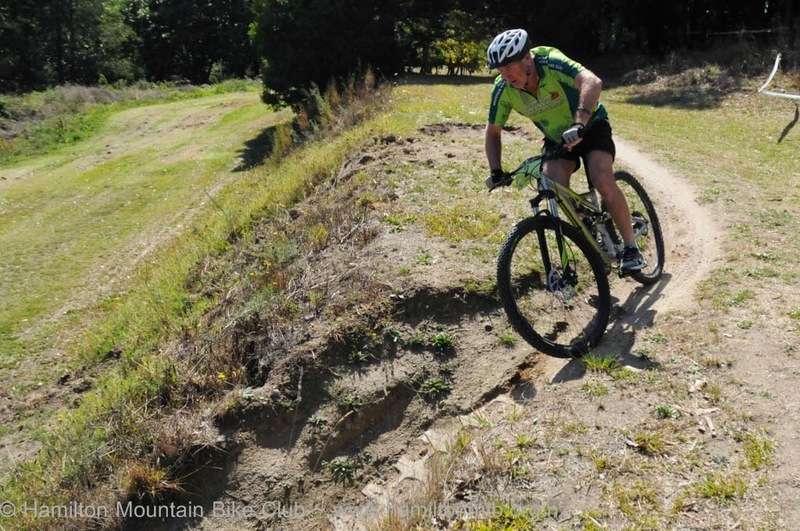 Whereas the easy way is a little bit longer and doesn't involve any obstacles, some riders argue that it can be done faster. Watch out for The Plank, a good test of line holding (it's only 1m long) Don't worry, more cautious riders can take the side way around it. You'll then drop into The Swamp Track, which winds it way along past the swamp through a nice section of bush and up out into the Sandpit through the tunnel. 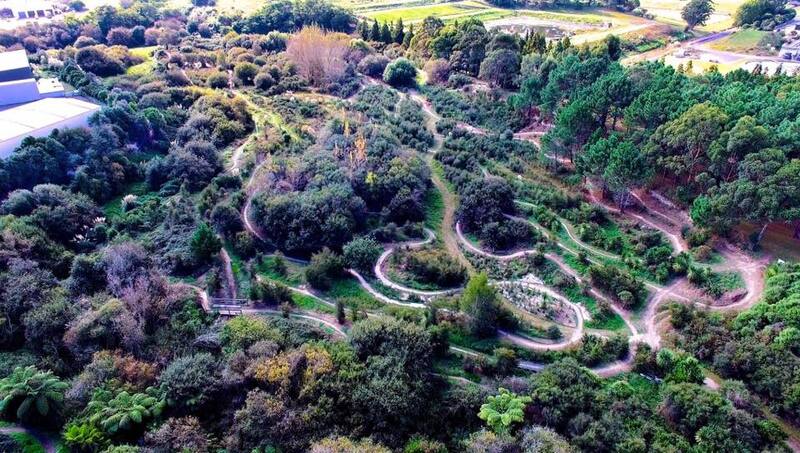 Originally a sand quarry, The Sandpit provides a wonderful fast, twisty and challenging section with a hard-packed, grippy sand surface. This area is undergoing a program of on-going rehabilitation with mass planting of native trees and bark over carpet to help keep invasive weeds under control. We've built a couple of fun features in this area, with Three Times Tables which is proving to be a popular skills section for kids with three modest table-top jumps and high banked berms. Our well-packed trail weaves out through the outer park through thickets of trees and open grass all the way over to Pukete Road and back. You can really stretch the legs and get some wind in the face out here. There's still a couple of fun bits to stop you getting bored. This is 800m of challenging track involving a gradually steepening climb up the park fence-line and back down a technical descent back across the stream for the last time.